Learning how to talk again isn’t fun. But that doesn’t mean it can’t be a pleasant experience. At Delmar Nursing and Rehabilitation, we believe that speech therapy, as any of our other services, should be delivered with compassion and dignity so that your loved one can heal in the best way possible. But why do some elderly folk need speech therapy? Seniors can experience speech difficulties for several reasons. A natural cause is the loss of elasticity of the vocal cords over time and the weakening of the larynx muscles. Another condition is aphasia – “an impairment of language, affecting the production or comprehension of speech and the ability to read or write.” After an injury, especially a stroke, victims are prone to develop aphasia, which ranges between a very mild impairment to very severe damage. The disorder affects more than 2,000,000 Americans and is expected to reach 180,000 annual cases in just over a year. This is double the current amount of yearly cases. So this is a growing major concern across the country. 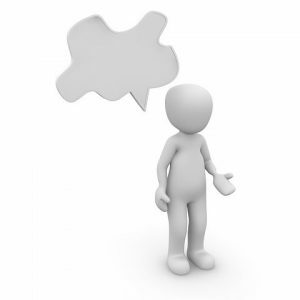 See the NAA website for a detailed explanation of the different aphasia types. Other similar disorders are apraxia and oral apraxia. And all three conditions can occur simultaneously. The pathologist will generally focus of the areas of speech, language, voice, cognition and swallowing. Speech therapy for seniors after a stroke may help the survivors even regain speech, but it is crucial that to start the process right away.2 So there’s no time to waste when it comes to senior speech therapy after a stroke. Do you have a loved one who had speech therapy at an elder age?